An American Werewolf in London Remake is Coming | Nerd Much? An American Werewolf in London remake is incoming! Before you start reaching for your pitchfork, this classic remake sounds like it could be promising. According to Deadline, producers David Alpert and Robert Kirkman will be bringing the classic horror-comedy to life again. Directing and writing the remake is none other then Max Landis. 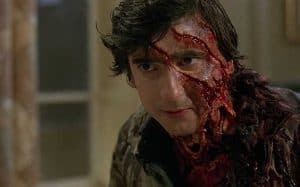 The first American Werewolf in London was written and directed by Landis’ father, John Landis, so it feels like the movie is in the right hands. Just in case you still had any doubt, his father is attached to the project as an executive producer. Add in the fact that Alpert and Kirkman are the duo behind AMC’s The Walking Dead, and you’ve got a potent mix of hype. If there was ever a chance that a remake would truly do the original movie justice, this is it. The original 1981 flick was centered around two Americans backpacking through the UK. After one becomes infected, and cult classic is born. Interestingly enough, the film hardly made a splash when it first opened. Thanks to its incredible practical effects, the movie was thrust into cult status years later. Our only fear is that they don’t have a great cast in An American Werewolf in London. We have a long time before those decisions are made, so keep checking back in the meantime. Announcing the New Lightning Quick Nerdmuch.com Mobile Site!